The spring of 1765 brings a welcome sense of recovery to the recently widowed Apothecary John Rawlings, but his tentative peace of mind does not last for long: a young child disappears in strange circumstances at the Hellstone Floral Dance and a seemingly omnipresent blind musician is never far away. Whilst this mysterious figure intrigues Rawlings, the case of the missing child alarms him: he feels he must do all in his powers to attempt to rescue the young life. <br /><br />Packed full of colorful historical detail, Death and the Cornish Fiddler is the eleventh book in the highly acclaimed John Rawlings series . 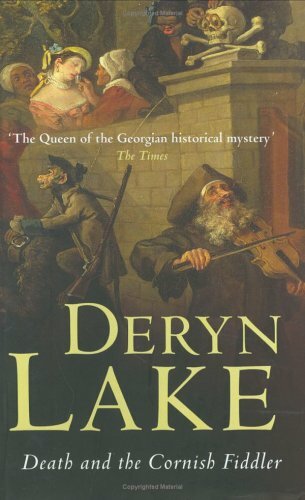 . . a new masterpiece from the queen of Georgian fiction.